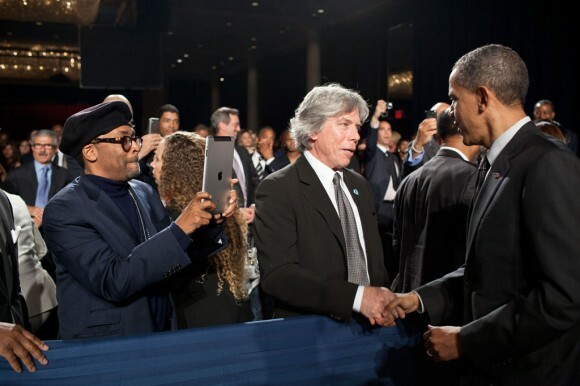 Film director Spike Lee uses his 3G iPad 2 to photograph / film President Barack Obama. Mac and iPad 2 user US President Barack Obama goes behind the iPad 2 camera. Is Spike Lee conducting iPad 2 video test, making Picasso with iPad 2’s built in Photo Booth effects, or making a new movie? We may never know. This entry was posted on Tuesday, April 26th, 2011 at 1:02 pm	and is filed under iPad. You can follow any responses to this entry through the RSS 2.0 feed. At that distance the camera covers head and torso. 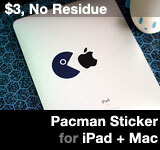 This photo only shows ONE iPad, but the best part is that it shows NO Android tablets!